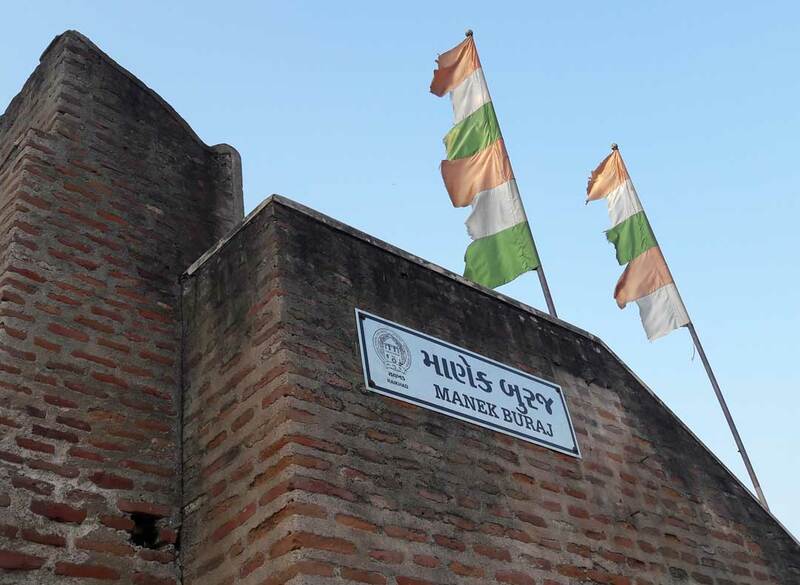 Manek Burj (literally Ruby bastion) is the foundation bastion of the Bhadra Fort of the city of Ahmedabad, Gujarat, India. It is named after 15th century legendary Hindu saint Maneknath who interrupted and helped Ahmed Shah I built Bhadra Fort in 1411. As it was the foundation bastion of Ahmedabad, it was laid down on 26 February 1411 by Ahmed Shah I. It was round the foundation stone of the city. The bastion, on the outside fifty-three feet high, used to contain a stepwell known as the Manek kuva, seventy seven feet round. By a change in the course of Sabarmati river the stepwell became dry and in 1866 was filled up. There was a water channel near bastion which brought water to royal baths in past. In 1869, the Ellis Bridge, the first bridge across the river was constructed near the bastion. 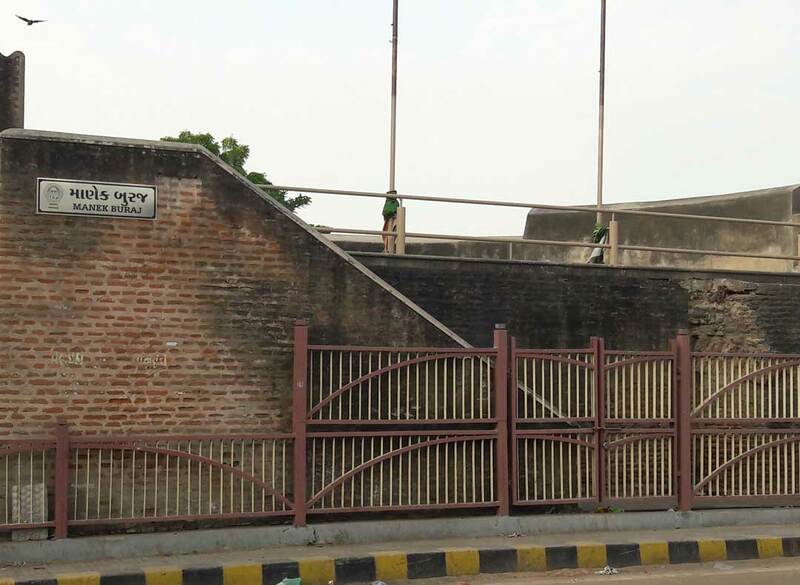 Later Ahmedabad Municipal Corporation declared Ellis bridge and its boundary, Manek Burj and the natural water drain near one of the banks of Sabarmati river as protected sites in May 1989. The original steel bridge was narrow and not suited for heavy motorized traffic and so it was closed in 1997 and the new concrete bridge was constructed on either side of the steel bridge in 1999. The bastion was partially broken for expansion of the bridge. After earthquake in 2001 and riots in 2002, many people believed that the city suffered due to the damage to the bastion. So the bastion was restored in 2003. Mahant Ghanshyamnath, the 12th generation descendant of the saint, performs puja and hoists the flag on Manek Burj on the foundation day of the city and Vijayadashami every year.